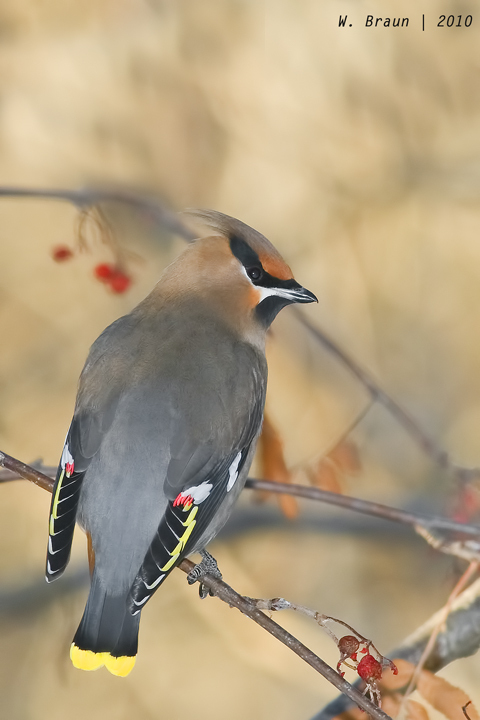 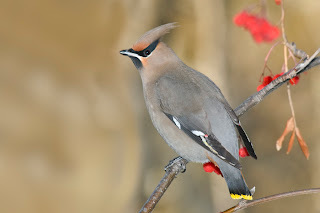 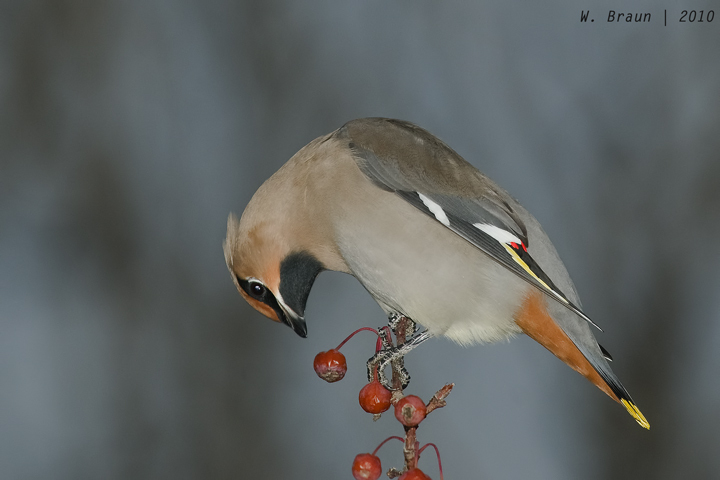 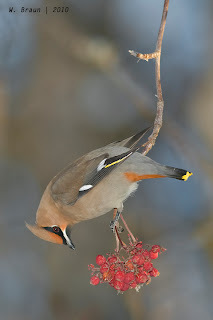 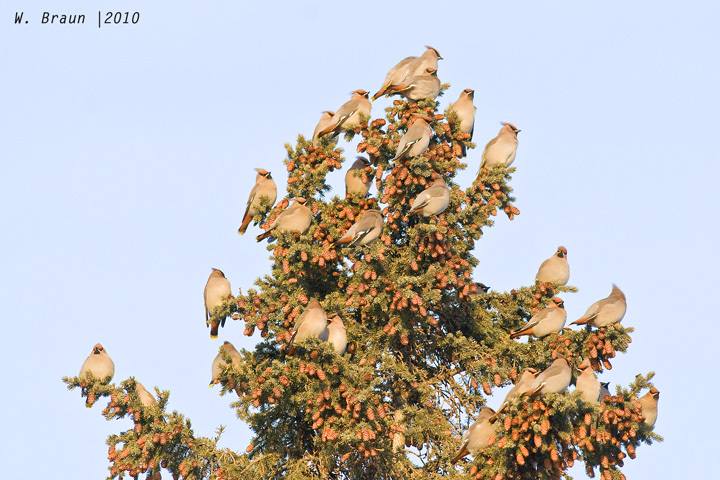 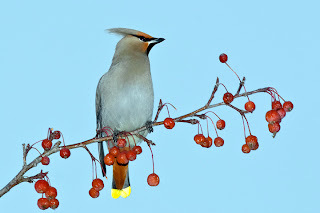 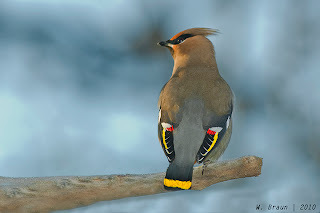 One of the pleasures of the long and harsh winter is the regular visit of large flocks of Bohemian Waxwings. 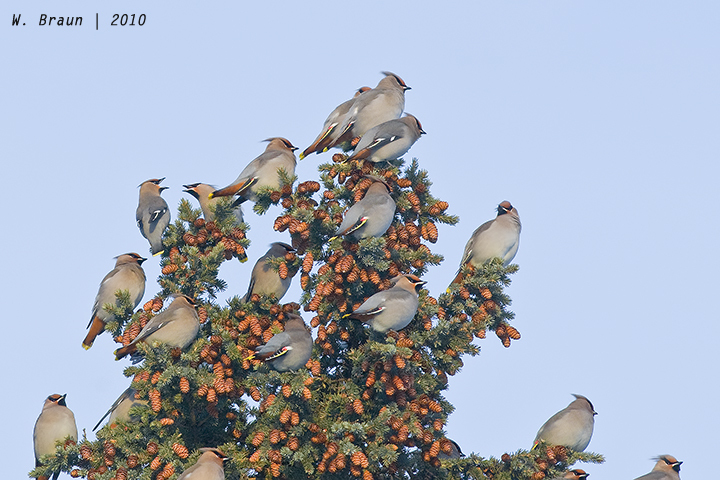 They fly in amoeba-like undulating formation, then swoop down and blanket a tall poplar or spruce tree in the neighbourhood. 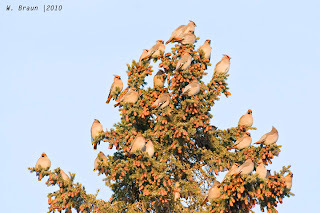 From there they spot the numerous Mountain Ash trees and other berry and crab-apple trees. 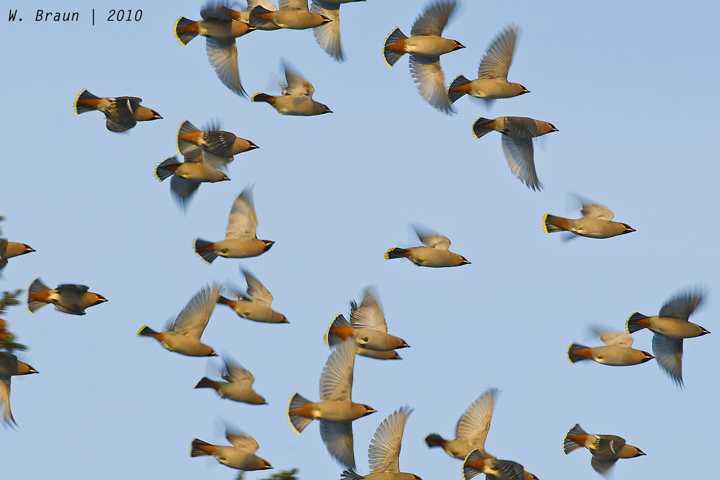 They swoop down on them, feverishly feed, then move on. 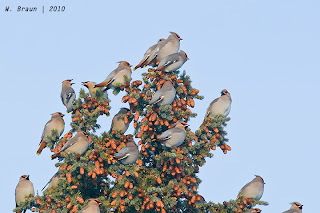 Last winter, these birds hardly visited, probably because after a dry summer the berry supply was better elsewhere. Nice to have them back.